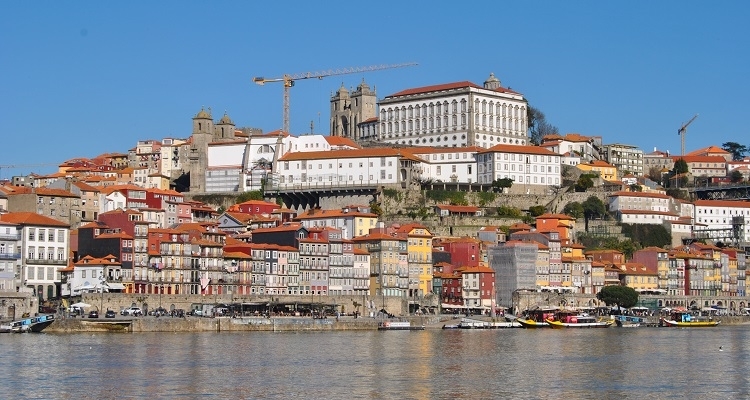 Porto is located on the slope of the river bank of the Douro. Due to its hilly landscape the city has quite a few great viewpoints and some of them are free of charge. When being on a sightseeing trip, one of my favourite things to do is enjoying a great view over the roofs of a city. 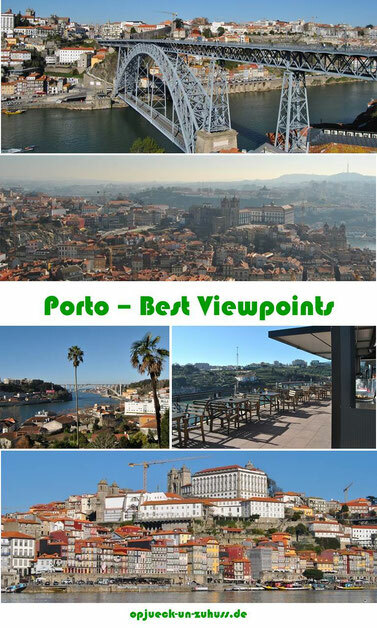 This is why I listed the best viewpoints in Porto in this blog post for you. 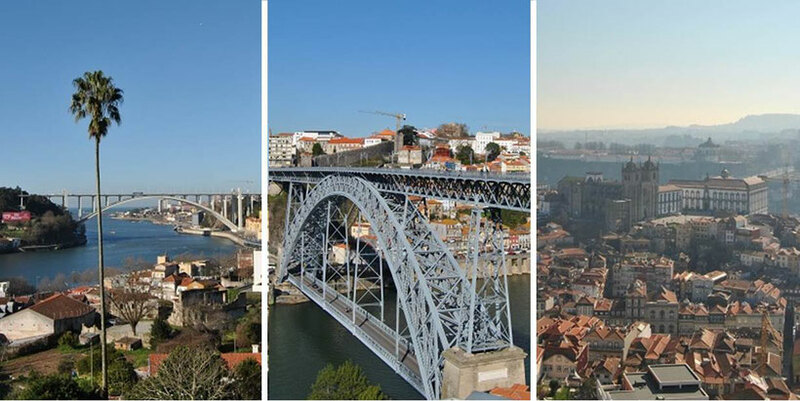 Porto´s most famous bridge "Ponte Dom Luis I" offers a fantastic view over the Douro river, the old town of Porto, which is also called Ribeira, and the beautiful city Vila Nova de Gaia. 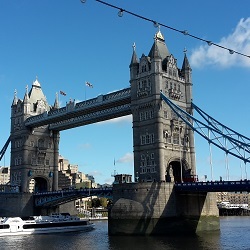 The upper level of the bridge is located at an altitude of about 60 meters but also the lower level offers a great view at the old town. 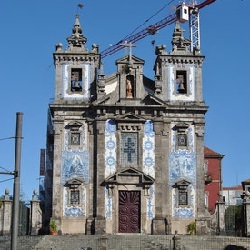 The bell tower Torre dos Cleridos of the church Igreja dos Cleridos is the highest viewpoint in Porto. For 4€ you can climb the 225 steps of the tower to enjoy a perfect 360° view at a height of over 70 meters. In the hills of the old town close to the beautiful church Igreja Paroquial de Nossa Senhora da Vitória is a great viewing platform. 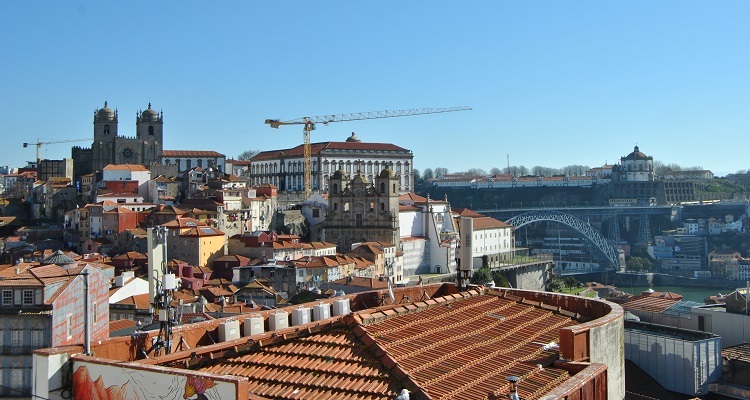 From this platform you have a fascinating view over the roofs of the city, at the bridge Ponte Dom Luis I and above all at Porto´s main church Sé do Porto. Just outside the old town of Porto, there is a beautiful park called Jardins do Palácio de Cristal. 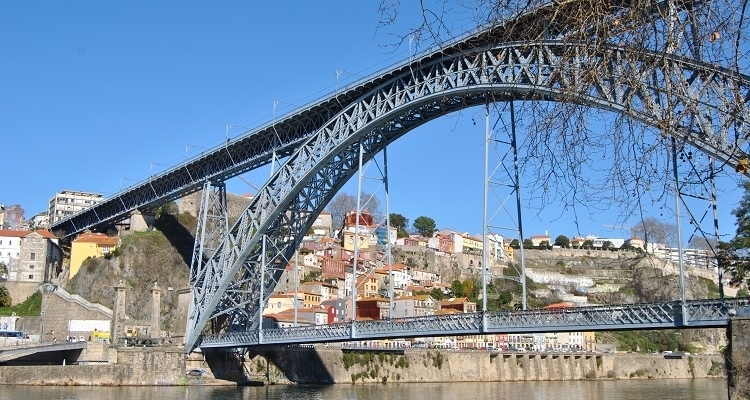 Some places in the park offer an amazing view over the river Douro and the bridge Ponte d'Arrábida. When there is a clear view, you can see far as the Atlantic. 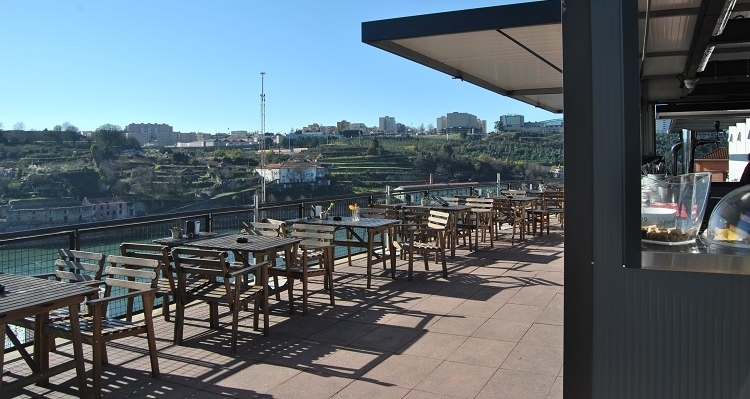 The bar Miradouro Ignez offers a fantastic view over the river Douro. It is a great place for breakfast, an afternoon snack or dinner. Go there and enjoy the sunset in a relaxing atmosphere with a drink. 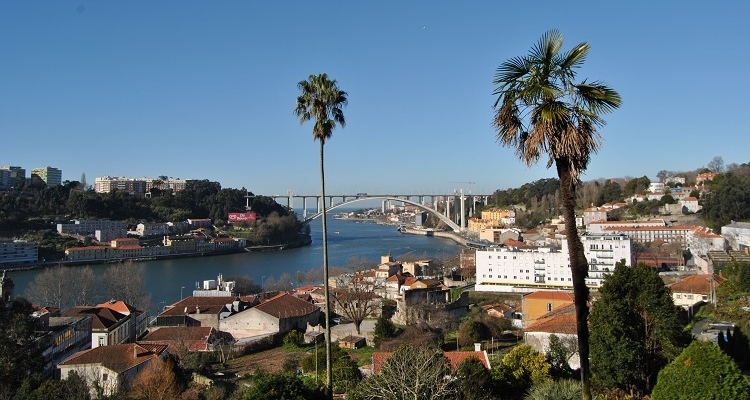 Directly across from Porto´s old town Ribeira is the small city Vila Nova de Gaia. Cross the famous bridge Ponte Dom Luis I and you will be in Gaia within a few minutes. From the river bank you have a great view at the old town in Porto. 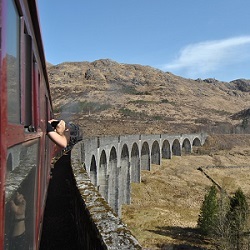 Moreover, you will find the famous port wine cellars there. 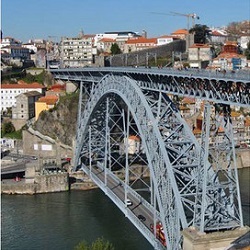 In Gaia, 800 meters from the bridge Ponte Dom Luis I (lower level), is a cable car station. You can take a ride with this cable car to the upper level of the Ponte Luis. 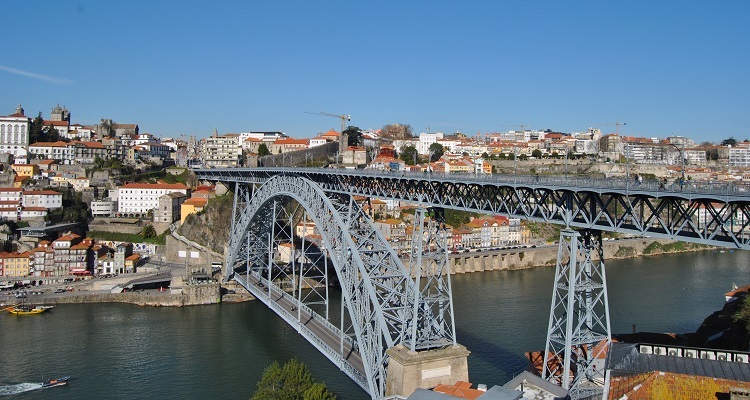 During the 5 minutes journey you can enjoy a magnificent view at Porto´s old town, the Douro river and the Ponte Luis. That wasn´t high enough for you? Then walk 500 meters uphill to the viewpoint Miradouro da Serra do Pilar. Awesome view points. 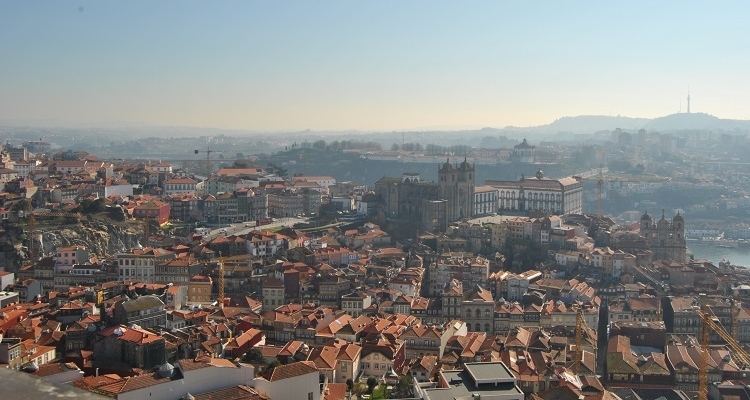 I have been considering visiting Porto recently as I heard so many nice things about it. 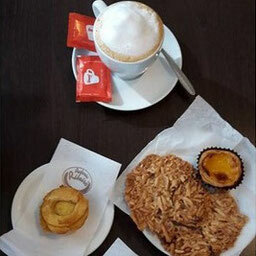 I think Portugal is a great destination in the spring so will look into traveling there next year. I'm going to Porto next week! I can't wait to see the city!! thanks for sharing!